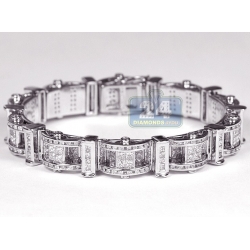 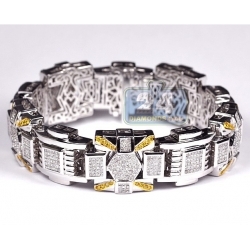 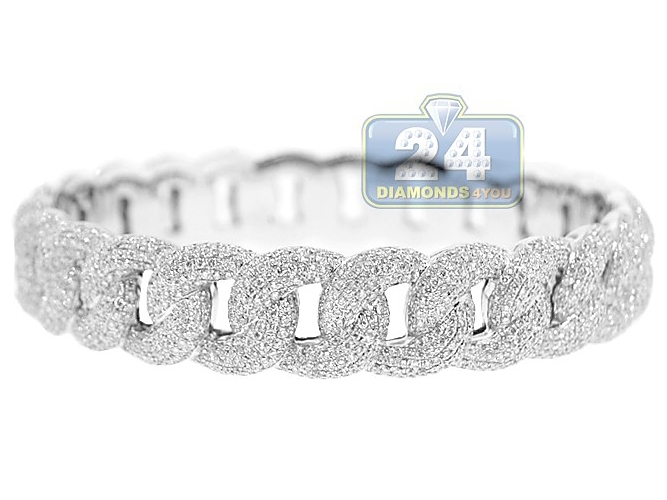 Mens Diamond Pave Cuban Link Bracelet 18K White Gold 11.30 ct 9"
A river of diamonds shimmers through on this impressive diamond cuban link bracelet. 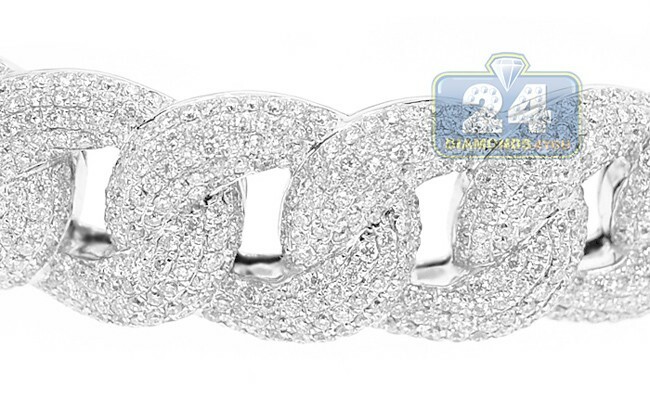 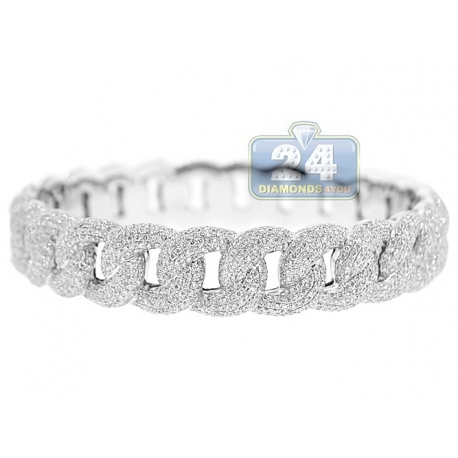 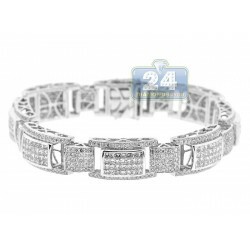 It is studded with genuine round brilliant-cut white diamonds totaling 11.30 carats. 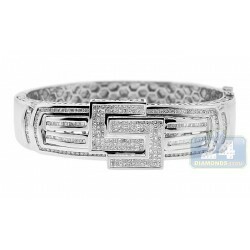 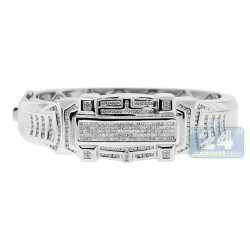 It's masterly produced from 18k white gold with high-polished finish. 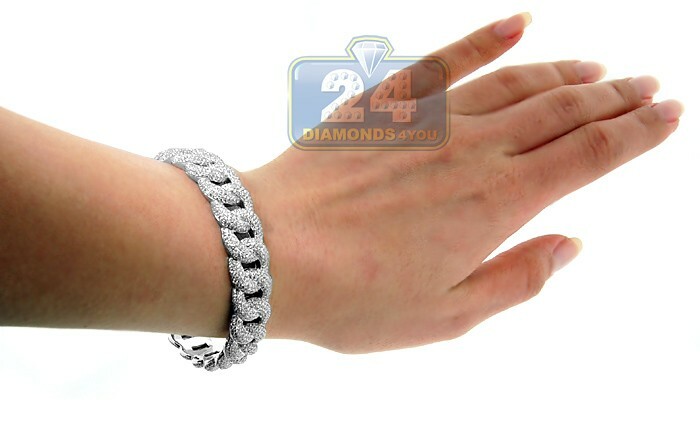 It measures 9 inches in length, and 14 mm in width. 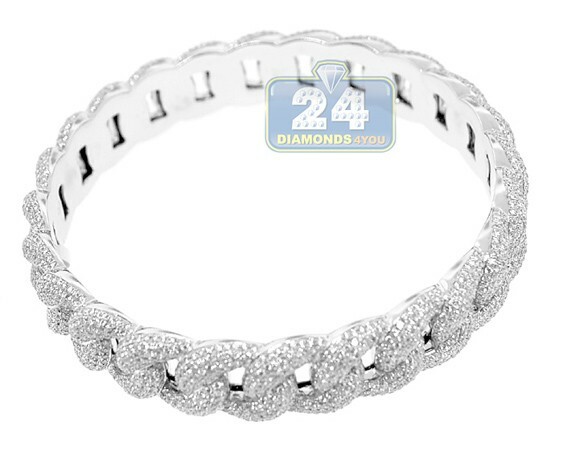 This beautiful bangle bracelet is solid & has no clasp. 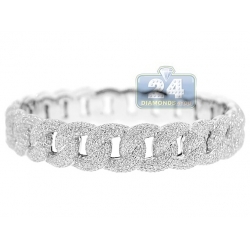 A stunning look for any occasion!